Stories have the power to . . .
Inspire us. Heal a hurt. Build or rebuild a relationship. Incite action. Reconnect us to memories of the past. Motivate us to change. Make us laugh. See a new perspective. The stories in this book will help you do one or all of these things. 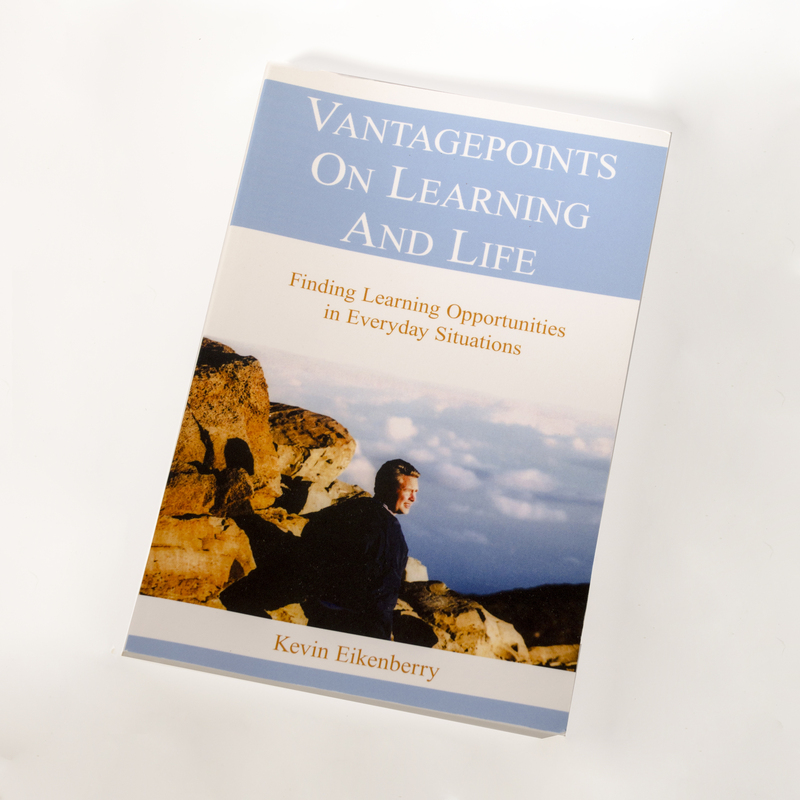 Vantagepoints on Learning and Life is a collection of essays Kevin wrote to help him reflect on everyday life situations, gain understanding and help him revisit the truest and most important lessons any of us can learn about being a growing, caring, compassionate, successful and wise human being. Kevin’s belief that every day holds the opportunity to learn is the mission of this book. Even in the midst of our daily routine and activities our life goes on and if we don’t recognize the learning opportunities all around us, and find ways to extract the lessons, we are missing life altering opportunities everyday. This is not your typical “how-to book” but rather a book of stories that will provide different lessons and meaning for each reader. Vantagepoints on Learning and Life will open your eyes to the ways you can learn from the smallest of events to the biggest of challenges you face. This book will open your eyes and your heart to learning opportunities that surround you as you strive to be a more wise, compassionate and caring human being.